Thank You for Visiting Horst Construction at the 2017 PHCA AL/PC Summit! 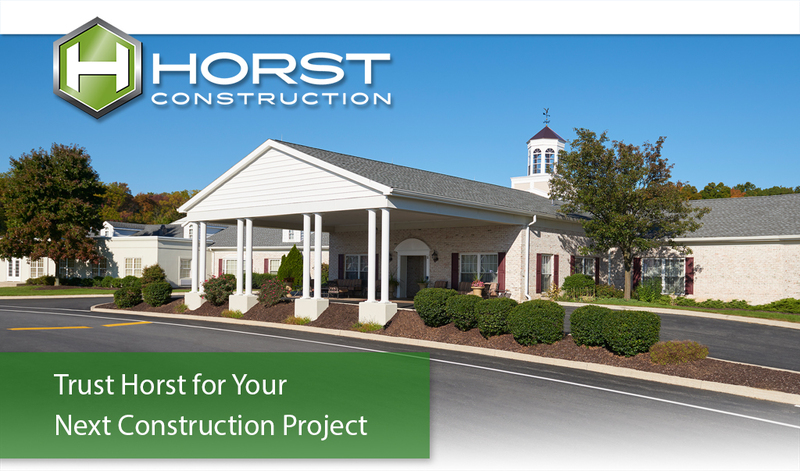 Horst Construction would like to thank you for attending the PHCA AL/PC Summit last week. Building, renovating, and converting Assisted Living and Personal Care facilities are important segments of our business, and we would like to extend our services to you. At Horst Construction, we understand that each facility is unique. Many factors can impact the cost for your facility, including the structural system, number of stories, and layout of an existing facility. If you have not yet received our “Things to Consider When Converting a Personal Care Home to an Assisted Living Facility”, please download a copy of our Sample Cost Analysis below. We would love the opportunity to discuss your specific facility’s construction needs with you. The Horst Special Services team has experience working in occupied facilities where sensitivity to the needs of residents, minimal disruptions, and maintaining a safe environment is paramount. When renovating or upgrading senior living facilities, our approach minimizes disruption to both the staff and residents as we strive to accommodate everyone’s schedule. Contact Ryan Null for more information.